Beth Fish Reads: Stats Posts: What Are They Good For? Stats Posts: What Are They Good For? On Wednesday evening, when I finally finished up my Monthly Wrap-Up post for March, I stopped to ask myself why I bother to put together that post every first of the month. Then I asked a few blogging friends, and I started to get a wide variety of opinions on the worth of the monthly statistic post. Why I started writing a monthly summary. I think I started writing a monthly wrap-up because I thought I was supposed to do that as a book blogger. Then I started looking forward to seeing what I managed to accomplish each month. Lately, I think of it as a kind of burden, and I'm wondering if anyone cares about the post. Pros. A summary post is a great way to make sure your readers can catch up with your reviews and guest posts and other musings. 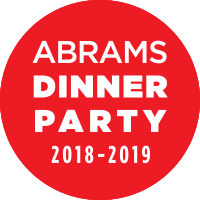 It's the perfect venue for reminding people about the challenges you are hosting or to not forget a book blogging community event. It gives extra exposure to those guest posts and interviews that you worked hard to put together. A wrap-up post is also a place to assess the variety of posts you publish, your reading stats, and your challenge progress. Cons. They take a long time to write up (especially with all those links) and long time to read. Few people go back and reread a wrap-up post to find a particular post (that's what indexes and labels are for). Your brain can start to enter a fog after you've read a number of summary posts. Your faithful readers will just scroll back through your blog or their reader to find the posts that interest them. Discussion. The truth of it is that I keep both a Word document and an Excel spreadsheet to track my reading stats and challenge progress. I also keep tabbed pages for links to my reviews, guest posts, recipes, and so on. So now I'm left wondering if I should continue to compile a wrap-up post. Do you like to see and read wrap-up posts? Or do you scroll like crazy to get past them? Do you keep blog post statistics on you blog, offline, or both? If you like summary posts, how often should they appear? Weekly (Sunday Salon), monthly, quarterly, yearly? Do you like all-inclusive posts like mine or would you rather see something simpler that just lists books read and favorite book? 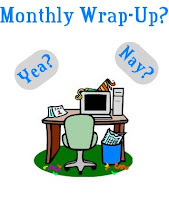 Why do you post a monthly wrap-up? Why don't post a summary? Did you post summaries when you first started blogging? Readers have responded enthusiastically. I started listing people who had commented five times, but had to increase it when I had four who commented ten times during a month, so it is good for me as well as them. I confess that I'm too lazy to do monthly wrap-ups myself, but I don't mind other people's. I skim them rather than reading them in detail, but it can be nice to know who other readers are doing, that we're not the only ones behind on reading challenges, that on the contrary we really ought to hurry up, etc. I like my monthly wrap-up posts for the selfish reason that it gives me a way to summarize the month, and this year, it's a monthly reminder to assess how I'm doing with reading deliberately. Like Nymeth, I skim other bloggers' wrap-ups to look for things I might have missed the first time around. I can't say I'd miss the wrap-up posts if they went away, but I don't mind them. I just did my first monthly wrap up, and I read others. I think what I like most about it is it gives you a chance to highlight what you accomplished and the book you liked most from that month's reading. My post was mostly a list, but since variety is the spice of life, however, the wrap-up is done works for this blog reader. I admire the effort that I imagine it takes, and I do get something out of your monthly wrap-ups. However, I always try to think of blogging as being about what you want it to be, and not about what you think others expect of you... It's your gift to us, and should take as much or as little time as you have to give to it. I do mine to keep track of challenges I'm in. I think you should do whatever you like doing. It's not a necessary thing. I like reading wrap-up posts because they do help me see if I've missed something on a blog. If it feels like a burden to you, though, but all means, cut them down in scale or cut them out completely. As for me, though, I don't write wrap-up posts. I barely remember when it's the end of the month, and it takes me long enough to get reviews posted anyway, that it would just add something extra to my plate. I may start doing them in the future, though. I generally just skim through monthly wrap-up posts when I see them on a blog I read regularly. Having said that, I agree with Beth Kephart, everyone should do what they want to do. If all blogs were the same, they'd be boring. I skim the monthly wrap-up posts, too, and don't do one of my own. There are links in my sidebar to books and short stories read (will convert to tabs as soon as I have time). I do a year-end statistics post, but am thinking about doing a quarterly summary/plan ahead post. It may help me to stay more organized. Bottom line - I agree with the others that you should do what works best for you. If it helps you, then go for it, but if it's just a chore, don't bother. I like to see wrap-up posts if they give an indication of how much you enjoyed each book (as you do!) it is good to be able to compare the books that you've read and see how much our reading taste match. Not many people seemed to be interested in my wrap-up posts, so I started to include my plans for the coming month and people seem to find this a lot more useful. I love to look at wrap-up posts - helps me catch up with some reviews. But I wouldn't really read a whole post - more like look for what I want -- like book reviews, any major highlights and so on. I mostly skim wrap-up posts, but that's not unusual because I mostly skim posts in general. As for myself, I write one when I feel like it, but I'm certainly not regular about it. I don't even get around to writing Sunday Salon posts most weeks. I've done one or two wrap-ups, but I found that I just don't have the time for them. They took forever to pull together! I don't mind reading other wrap-ups though. Sometimes I see things I've missed. This was the same question I was asking myself this week. I used to write wrap-up posts and then I stopped. But after reading other posts, I've kind of got interested in it again but didn't know how to approach it...what info to put in it. Thanks for putting this question out there to your readers...I'm having a great time reading their responses. Now, for my take on it...I like wrap-up posts. Reading over what happened during the month and see if I missed anything interesting. I like to see weekly wrap-ups (like It's Monday meme) and the monthly wrap-ups as well. Sometimes I skim them and sometimes I read them in depth and comment. It really depends on if the books are in a genre that I read or if I've heard of some of them. I also like seeing how people are doing on challenges. That way, if I am doing the same challenge I get ideas of books to read. I don't post them, but I don't mind them, either. The reason I don't write wrap-ups is because 1) they are a lot of work and 2) I always seem to be oblivious to the fact that it's the end of the month. I occasionally will do beginning of the month posts, mostly to get myself organized about what I have coming up during the month. And once in a blue moon I'll do a challenge update. I read parts of wrap-up posts...mostly the beginning and end. I also skim to see if any of the links jump out at me, cause you never know what you might have missed! I love monthly wrap up posts to remind readers what happened during the months and recapture those who missed stuff. But mostly because I personally love to keep track of what I'm doing and makes that end of the year wrap up easy. But like you said, they are a lot of work and I've been doing a terrible job. In fact, none this year so far that I hope to at least get a quarterly post up. I don't read monthly wrap up posts. With so many blogs to read, it's just a type of post I don't find useful. What I want to know is what books have you LOVED. I assume I'll get that information either via Twitter or reading your reviews. If I miss it, well, a girl can't catch everything, now can she? You and I have already discussed this but I'll go ahead and expand a bit here. I don't write monthly wrap up posts. I have 3 excel spreadsheets I use to track all kinds of info. One is my TBR where I track series and when I add a book as well as who recommended plus a bunch of other info. The other two spreadsheets are to track my (and my husband's) books read and listened to. I keep monthly and yearly stats of books and pages (and also the list of links to my blog reviews). Tracking all of this info on my own makes wrap up posts redundant for me and it's detail geeky stats stuff that's really only important to me. As for reading monthly wrap up posts - I rarely do more than skim. To me they're kind of like the mailbox, library, waiting for, etc posts that I quickly mark as read in favor of reading the actual book reviews and posts with new content. If I'm looking for a review on a blog, I''m not going to browse through a bunch of wrap up posts. I'll scan the archive or more likely check labels or tags or just go straight to the search box if the blog has one (if not I use search site in my google toolbar). Bottom line though, it's your blog, you should post what you want. Page 47 of the Responsible Book Blogger Handbook CLEARLY states that you MUST post monthly wrap up posts. I'm astonished that you are questioning the validity of the rules. I just might have to report you. What is the world coming to!?!??! Personally, I never read wrap-up posts. I always thought they were more for the writer than the reader, as a nice go-to post in terms of organization. Beth - I do read your wrap up posts although I generally have already read most of what you are highlighting post/review-wise. I get the most out of hearing your overall thoughts on the prior month - I dunno, something more than just links to posts I've already read. I like posts that provide links to things they came across of interest elsewhere that relates to what they do on their blog. That is a useful resource for me to check in on - though it could be a lot of work to put together. Weekly or monthly is fine with me. I track my stats but generally use widgets to display anything like subscribers, followers, my bookshelf of what I've read, etc. We do a preview post the beginning of each month - the Bumbles Blueprint - which highlights post topics we have planned for the upcoming month so readers know what to look forward to. I'm not sure if it really makes people come back for more or not, but it keeps us honest - by publishing our intent to post on things, it makes us actually follow-through with creating them. I write a wrap-up post for the selfish reason of showing what I've accomplished, both for myself or anyone who may be interested. I typically skim through others posts though, just stopping for a review or something of the sort that I find interesting. Although, in the end it's your blog and you should do what's right for you. As I have concentration problems, I tend to skim ANY post that is longer than a few hundred words. So if people´s wrap-up posts are long, I will let my eyes run down it and perhaps focus on a few pieces of information, e.g. authors I know or plan to read. When I write wrap-up posts, it is mainly because I have finished a reading challenge, and right now I am very cautious about getting into new blog routines. I have realized recently that too many schedules and weekly posts are what drag me down, not so much the blogging itself. Basically: I don't do them and I don't read them. If I miss a raving good post, someone else usually mentions it and the I find it then. I keep track for a yearly post on my stats and favorite books of the year, but not more often than that. I actually just started a monthly recap this month. I'm experimenting with have a monthly reading "theme" - though sometimes it's rather loose. So for March I tried to focus on books that can be categorized as mysteries. (I try to throw a curve ball in as well - for example I included 'Important Artifacts and Personal Property from the Collection of Lenore Doolan and Harold Morris, Including Books, Street Fashion, and Jewelry by Leanne Shapton' which, while I've never seen it listed as a mystery has many of the traits of one). I also include links to older posts that would also fall into the "theme", and a link of a review by the NYT's of the book I'm in the midst of. My blog is pretty eclectic - basically a reflection of what I enjoy reading, so I want to try to provide more structure for my visitors. I'm hoping a wrap-up post at the end of the month will do that...but I guess we'll see! I don't write wrap-up posts and I rarely read them. Too easy for them to come off sounding boastful. Don't mind a "best" or "worst book of the month" - that type of thing - but just the numbers can seem to say "Hey, look how much more I accomplished than you." Same with lists of free books received. Last year in my wrap up posts I kept track of my challenges every other month, this year I'm not including challenge progress in my wrapups because it's just too time consuming. What I do include is a list of the books I read along with a page count. This gives me a general idea of where I'm at in my goals. So my wrap-up posts are mainly for me. I agree with Jackie on this. I read other blogger's monthly posts and it helps me compare my reading with theirs. If it's similar, I know this is someone I should be following if I'm not already. I enjoy seeing how many books were read and the favorites. I just started doing a monthly wrap-up post last month. I did it to keep track of what books I've read since I no longer keep track online. If you enjoy it,I think you should keep doing it. I skim wrap-up posts to see if I might have missed anything interesting. I have done them a few times, but generally don't - except for the year-end ones, which are probably more for me than anyone else! I do not do monthly wrap-up posts. Too much bother. I know that they take a lot of work for those of you who post them. Honestly though, I comment on posts that I'm interested in or have something to say when I read them and then subscribe to the followup comments. I scroll past the wrapups. I may glance and see if I missed anything but I don't spend a lot of time on them. I keep track of my books read in a couple of ways and otherwise, just go with the flow. Vera: I like the idea of listing the most popular posts and perhaps guest posts and interviews. Nymeth: I think laziness is one of the reasons I started questioning the wrap-up to begin with. Rebecca: I agree, I like my post so I can see what I did -- but lately, I think I'm just going crazy listing everything. Jan: Yes, definitely a nice way to highlight some of your features. Chris: I have a challenge progress list in my sidebar. Kathy: Yes, I think most people end up skimming looking for something they may have missed. JoAnn: I love the year-end posts! I hope you continue that. Jackie: Ahhh. A great way to use people's monthly listings. Jaime: LOL! That's why I always shied away from SS. Sandy: They do take forever to write up and link. Kara: I too am going to use the comments to help me streamline my posts. Helen: I love seeing what challenges people have joined. Softdrink: Yep -- laziness is a major factor. I like that idea of beginning of month post to help with organizing. Natasha: Quarterly is a great idea, but I think I'd probably just forget to do it. Trish: Thanks!! Great advice -- highlight the best. SuziQ: yes, when your reader is full, the monthly posts are easy to pass over. And, as you know, I track stats a number of ways. Bumbles: I always admire you preview posts -- I'm too scared that I wouldn't come through. But, then, the post does hold you accountable. Whitney: I like seeing everything in one place so I can track my activities. Dorte: Yes, the length was beginning to scare even me! And I understand that drag of a too-tight schedule. Susan: Yep. I'm beginning to move that direction too -- Best of and to highlight changes. BookSexy: Oh well, if you have a loose theme, then I think a wrap-up is almost a given, eh? D&T: I too worried about the boastful aspect. And you're also in the best of camp. Alyce: I am keeping page counts and minutes of audio listened to -- this is the first year I've done that. Vasilly: That makes me think the worth is the book lists and ratings, a bit of best of and leave the rest alone. Lenore: I usually skim them all too to see what I missed. Kay: I think the comments here are going to help me come up with a good middle ground. well I don't do it..I've been using my good reads to keep track of my book..if I see them on everyone blog as a meme then to me its a turn off. I enjoy reading your monthly wrap-up posts even though I faithfully read every post you write. My favorite part of your wrap-up is the What's New and What's Coming Next Month. It's like the previews at the movie theater. I wouldn't object if you cut back on your wrap-up skipped listing all the books you've read with the links (which is probably the most time consuming part). I don't do monthly wrap-up posts myself, and I just click through most other people's. It's basically a link post, but the links are all ones that I've read already, so I don't have much interest in reading them. That said, there are some bloggers who do bring a lot of creativity and interest to their monthly wrap-ups. I think if YOU feel the monthly wrap-ups are a burden and mostly useless for both yourself and your blog, then you shouldn't do them. It's your blog and you should have fun and be creative with it, not do something just because you feel you have to. This was fascinating! I was just thinking after seeing everyone's at the end of this month - did I miss the blogger memo and am being a bad blogger by not doing one? But yes, it does seem like something more for the blogger to keep yourself organized as I agree, if it's a blog I follow, for the most part I've read the posts. However, I do like the idea of doing a post with the wrapup being your most popular posts of the month/best commenters. Great discussions and as always, do what makes you happy! From skimming the comments, I think I have a similar reaction to everyone else. I tend to skim wrap up posts to see if anything interesting is in them, but don't spend much time reading and rarely comment. I don't usually do them myself because if I don't bother to read them often I'm not sure why I should expect other people to read mine. I don't do a wrap up...mostly because I am lazy and disorganized and not very goal oriented. I try post on a regular schedule just so my wee group of readers don't all wander off for greener pastures but in terms of what I 'accomplished' in a month, I guess I take a more laid back attitude. Otherwise, it really starts to feel like a job and if this is a job, I need a raise! And some benefits! Do I read other people's wrap ups?...not really. The blogs I read, I read regularly and already know what they posted in the past month. The blogs I read less regularly, I don't care...or I would be reading them more often to start with. I enjoy them but I don't normally read them in depth because I've usually seen everything in the post before. That's why I like what Jackie said, including plans for the month to come, or in some way something other than a ton of links leading to everything I've already read. I sometimes include this on my own ones, but they're mainly for me anyway so it depends what I have time to do. My wrap up posts are really for me to help keep track of my challenges. Because I am so bad at writing reviews, they also get at least the names of books I have read onto the blog as a reference point, otherwise they would all just live in draft forever! I tend to skim through other peoples wrap up posts, but have found new challenges etc as a result of them. I do read wrap-up posts and they usually remind me of the books I'd love to read but have somewhat forgotten to include in my wish list. This is one of the things I think is funny because I don't keep track of reading stats at all. I tried to keep track of books read in 2010 this year and have already fallen behind on that. I guess in the end, while some readers care a lot about their stats, I don't. I also generally skim wrap-up posts or skip them altogether. Great question. I don't have time to read all the answers but here's my basic reply. I read or skim most posts. I'm more likely to read it if it highlights important posts (challenges, questions to the book blogger community, etc..), , top commentors, goals etc.. It's good for those blogs I skim through usually because sometimes I miss an important post and the wrap-up posts show me to them. I don't care how many of each kind of book they've read. Those stats should be yearly. I just started a Week in Review post which I think no one reads but I think it's good for me to think about my goals for the week and how I did on last weeks goals. Also by linking to my posts from the past week, anyone who stumbles on my blog has a few quick links to posts of interest. I'm still figuring out if I want to. I love the review on Firefly's Book Blog as a good example. Interesting discussion! I tend to prefer the weekly wrap-ups, as they aren't so long. The only wrap-ups at my blog are occasional posts to track my reading challenges. If the monthly wrap-ups have become a burden, maybe you should cut back or stop them completely? I like the idea of a monthly wrap up and have contemplated doing one myself. I think, though, that I end up getting lazy and with so many other things to do focusing my energy on one falls by the wayside. I tend to think wrap ups like this are a bit more geared for one's self than anything else which has great value if you are genuinely interested in see where you fall each month and then ultimately in a year. I can't tell you how many times I've thought about writing up monthly wrap ups - I've even done a few - but when it comes down to it, I'm just too lazy. 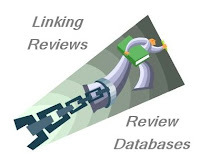 I have reviews indexed by author and title, I add to my books by year list page immediately after finishing a book, and I have an excel spreadsheet that keeps track of all my stats. I skim others' wrap up posts just to see how they are doing, but I have to admit I rarely read them in detail unless they are written well and not just lists of facts. I like to read wrap-up posts because it is an easy way for me to catch up on reviews and posts that i wanted to read that I might have missed when I got busy. I lie to do them fir myself because they really keep me on track with what I need to be reading, but they can be really time consuming and sometimes too much time goes by before I am able to get them up. I admit that I don't always read monthly wrap-up posts on other blogs yet I make sure to post one on my blog. I post one because it's a good way for me to list stats and keep myself updated on my progress. I think it's fun to see how many pages I read and how many books I ended up reading. I keep track of this info on an excel document too and compare to past years, I love looking for trends. Last year I started doing a wrap-up post just for challenges and this helped me to actually complete the majority of the challenges I joined. It was a monthly reminder that "oops..I keep forgetting about that challenge" or "yeah! I'm doing a heck of a job with these challenges"
I do think they are a pain in the neck. I mostly keep stats on my reading for my own use ... I just have a post I update and I put it on my sidebar if people are interested in it. I did start doing a weekly update on what I read and did on the blog ... I think it people who don't have a lot of time might like it to see if there is anything they might want to read but missed. It can be a good way of scanning what is going on with a blog. I do kind of like reading them but if I read a blog all the time, I tend to skip over them! I don't know if that helped ... but that was my 2 cents! I don't do wrap up posts and rarely read them. If I read a blog regulary, I already know what has been read and reviewed. But, I like wrap up posts that highlight bookish news or discussion posts I may have missed.